On this edition of the Crypto.IQ Daily Radio Show we do a deep dive market analysis. Bitcoin (BTC) has stabilized at just over $5,400 and the crypto market is mixed this morning but looking better than yesterday. The first trading pair on the Binance DEX, Mithril (MITH)/Binance Coin (BNB), has gone live. The Brave browser has finally begun paying users Basic Attention Token (BAT) for viewing ads, although withdraws are not allowed until KYC protocol is implemented to prevent click fraud. We discuss how Wirex has launched 26 stablecoins on the Stellar (XLM) blockchain, and this is is essentially a cryptocurrency version of Forex. Hear about how 2,100 Coinstar machines across 19 states have become Bitcoin (BTC) ATMs. Learn about the rumors regarding the potential for Samsung Coin to be launched in the future. We also discuss how Ripple Labs has sold $890 million of Ripple (XRP) so far, and quarter over quarter the sales are increasing. 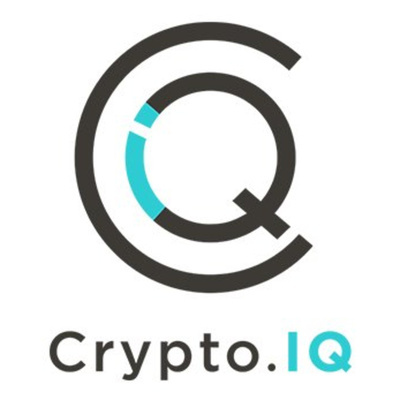 On this edition of the Crypto.IQ Daily Radio Show we do a deep dive market analysis. After hitting new 2019 highs near $5,600 yesterday Bitcoin (BTC) has retreated to below $5,500 and the rest of the crypto market is bearish. Ripple (XRP) is particularly bearish due to news that CTO David Schwartz is selling off his share of Ripple (XRP). We discuss how TD Ameritrade is testing out Bitcoin (BTC) and Litecoin (LTC) trading, and if this service goes live it would give crypto access to 11 million stock traders that hold over $1 trillion of assets. Hear about how Coinbase has cut its Chicago office, and how Binance has launched a new fiat to crypto exchange in Singapore. We also discuss how excess natural gas that is being burned off and wasted in the Permian Basin can be used for Bitcoin (BTC) mining. Learn about a hacker who has made $54 million by sniffing weak Ethereum (ETH) private keys, and how CME Bitcoin futures trading volume is starting to rival the volume of top spot crypto exchanges.